Party is an upcoming youthful film from Venkat Prabhu with a huge fun-filled cast. Premgi has scored music for the movie. The first single song announcement came out last week. 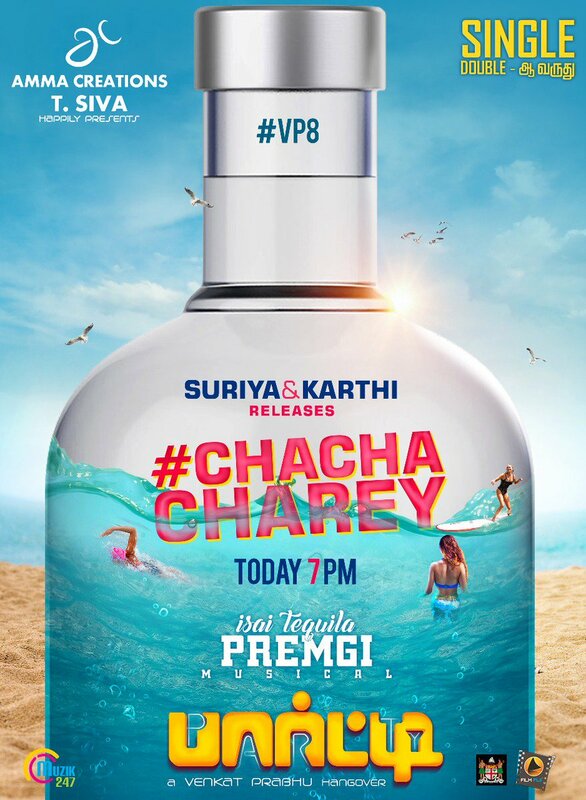 Titled as Chachacharey, sung by the popular brothers Suriya and Karthi. This peppy number is releasing today (2nd July) evening at 7pm. Latest we hear that Venkat Prabhu and Premgi have also sung a part in this energetic song.